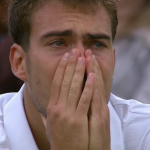 Live, game-by-game Analysis of the Andy Murray vs. Jerzy Janowicz semifinal at the 2013 Wimbledon. A tale of two semis. 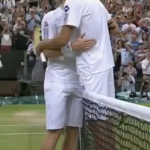 The lessons learned from the men’s quarterfinal action at Wimbledon. I’m so excited for tomorrow. 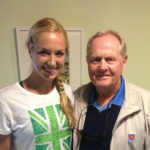 Here’s why you should be too. 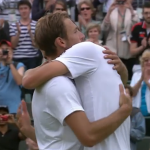 Live, game-by-game analysis of the Jerzy Janowicz-Lukasz Kubot quarterfinal at the 2013 Wimbledon. 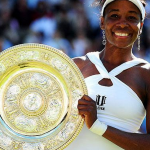 Venus Williams, equality for women, and filmmaking. My three favorite things. 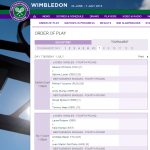 The lessons we learned from the four women’s quarterfinal matches at Wimbledon. Manic thoughts about Manic Monday. 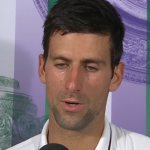 A Liveblog of everything that transpires on Manic Monday at Wimbledon. 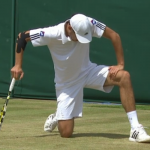 A full preview of Manic Monday at the 2013 Wimbledon, including: head to heads, grass head to heads, and if you care, how excited I am for every one of the 16 singles matches on tap today.